Some days are just like that, right? You get up and have a whole list of crap planned and little by little the plan gets a bit skewiff… I am not even sure if that’s a word, but its a word my gran used so I going to roll with it. It started out okay but just kinda derailed from there – anyway there was a good bit in the day! Lollies! And not even for me, it was a gift for someone kinda cool, and he seemed stoked so I guess that is a win for the day! 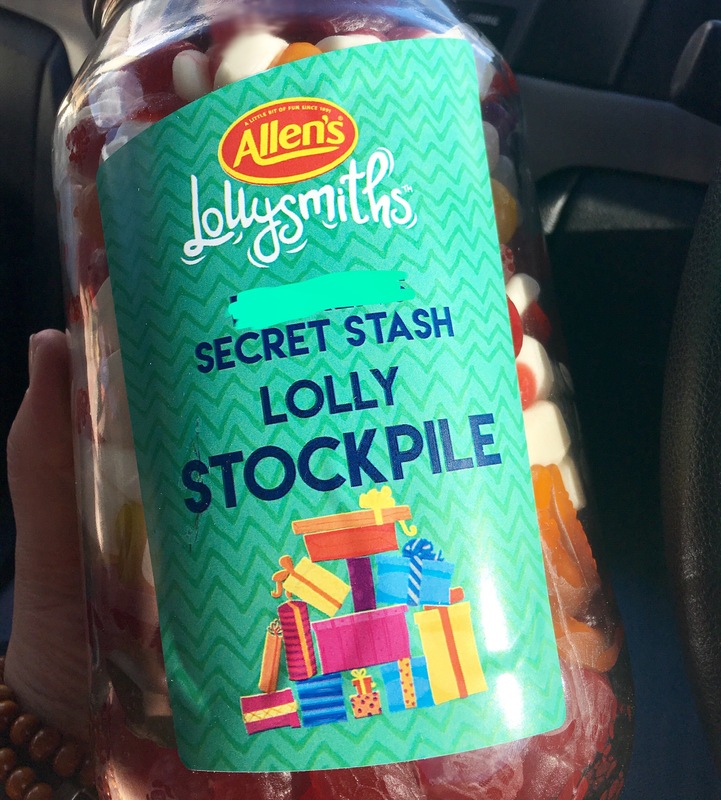 A couple of days ago, Facebook had a link about Lollysmith’s enormous lolly jars that you could personalise! https://www.allenslollies.com.au It was a limited edition thing and there were only 200 released so I was kinda excited to get it! I filled it with all the faves and I think it might have been the perfect gift!